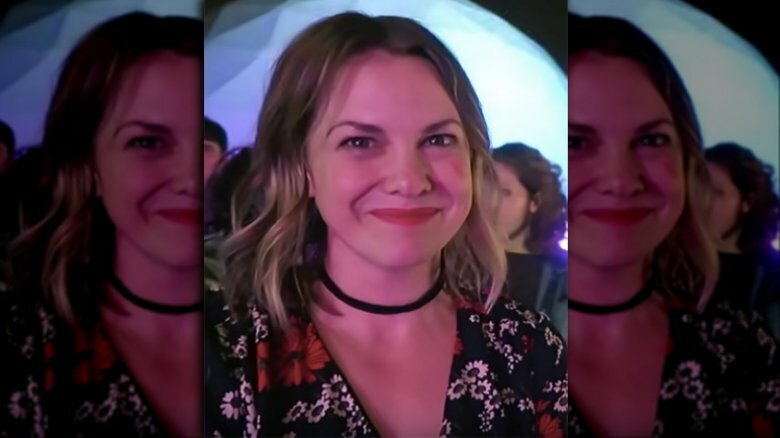 If you ever considered yourself to be a Nickelodeon kid, then there's a good chance you remember actress and The Secret World of Alex Mack alum Larisa Oleynik. Oleynik played the title character, Alex Mack, who develops superpowers after she is accidentally soaked with a top-secret chemical called GC-16. Mack's most notable power is her ability to dissolve into a silver puddle of water, a plot point Oleynik is still reminded of years later. "I still get people asking me to turn into a puddle," she joked in a December 2017 interview for HuffPost. Of course, Oleynik is more than her famous Alex Mack character. Not only did she go on to act in other successful projects (10 Things I Hate About You, anyone? ), she attended an impressive liberal arts college in New York. You go, girl. All of this information might be a lot to take in if you still remember Oleynik as Alex Mack, complete with her signature baseball cap and striped t-shirt, but as wild as it might seem, this former Nickelodeon star is nearly 40 now and she's absolutely breathtaking. Fame can be overwhelming if you encounter it at a young age, something Larisa Oleynik knows all too well. The actress, born in 1981, touched on this sentiment in an interview with HuffPost: "It's a weird thing to all of a sudden be recognized everywhere you go." 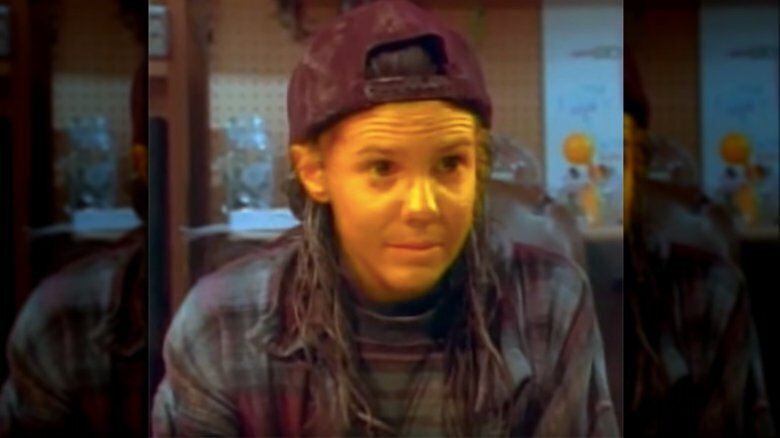 After four successful seasons starring on The Secret World of Alex Mack, Oleynik decided to leave the hit show in 1998 and try out normal life as a high school student. "Something was instilled in me very early on that you keep doing a thing as long as you want to do a thing," she told BuzzFeed. "Then I went back to high school and I was bored." Although she wasn't impressed with high school life, the actress stuck with it as she picked up acting roles here and there. You might have recognized the entertainer on shows such as Boy Meets World or 3rd Rock From the Sun. Translation: It's pretty clear Oleynik couldn't kick the acting bug, folks. When Larisa Oleynik was on 30 Rock From the Sun, she acted alongside 500 Days of Summer actor Joseph Gordon-Levitt. The two reunited for 10 Things I Hate About You, an adaptation of The Taming of the Shrew. In the film, Oleynik's character (Bianca) plays the crush of Gordon-Levitt (Cameron). Oleynik was immediately impressed with the project, telling The New York Times in March 2019: "I remember being pretty smitten with it right away. The script was unabashedly feminist and really of the riot grrrl era of the Pacific Northwest." Oleynik's intuition proved spot-on because the movie became a cult classic that's beloved by older and younger generations alike. What's especially interesting about Oleynik's involvement in the film, and perhaps not as well known, is that she went on to study at the college Julia Stiles' character (Kat) aspires to attend — Sarah Lawrence. The actress gushed about the school in an interview with BuzzFeed, telling the outlet she was able to indulge her creative side. I "didn't study theater while I was there," she said. "I just wrote a lot of really bad poetry." Hey, at least she tried something new. 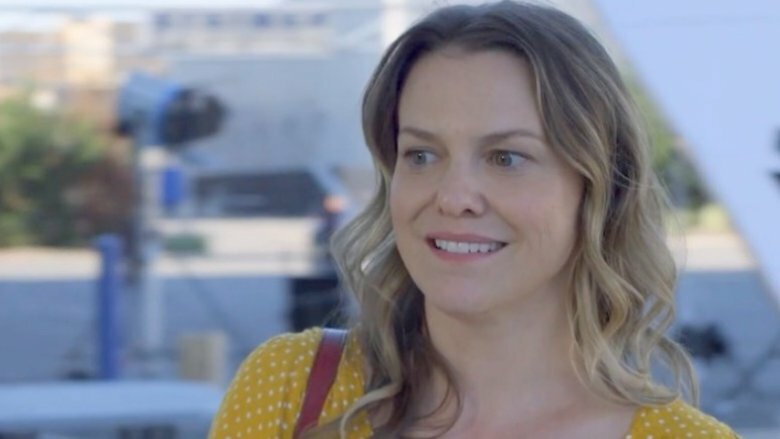 Years after graduating Sarah Lawrence, Larisa Oleynik began the transition into a respected adult actor. Although she had slayed the teen movie star thing, the mature side of acting was something that remained to be conquered. 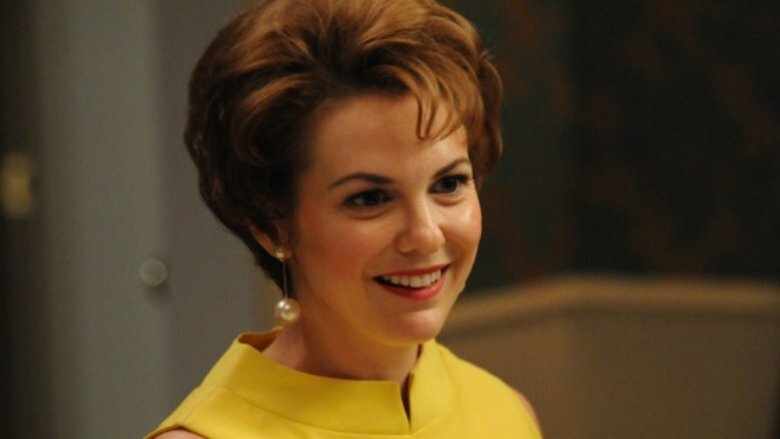 To the actress' credit, her hard work paid off when, in 2010, she landed the role of Cynthia Cosgrove on AMC's Mad Men. Oleynik received widespread praise for the part — a reception that meant a lot to Oleynik. "When people recognize me from Mad Men specifically, it's just the coolest feeling… I don't really know if I'm being seen differently, but I know that, just in terms of confidence, it has helped immensely…," she told AMC. "After a long round of trying to establish myself as an adult actor, booking this job, I was like, 'Yes! They don't hire bad actors on Mad Men.' It was huge sigh of relief." It's not uncommon for film and TV actors to transition into stage theater later on in their careers. Someone who can appreciate this sentiment is Oleynik, who landed a role in Baghdaddy, a satirical musical comedy stage play, in 2015. And if you're unsure about whether Oleynik has the acting chops to take on a meaty theater role, there's a good chance she wouldn't be offended. "I don't take it personally," she told BuzzFeed about her critics. "Let me prove myself. … I'm constantly feeling that way, like, put me in. Put me in, Coach. Let me show you what I can do." As for whether Broadway life is for Oleynik? She completely adores it. "It's a big, energetic commitment, and that's actually what I love about the show," she told BuzzFeed. "All we have are each other, and we have to be locked in." It sounds like Oleynik has discovered her second calling. See you on Broadway, lady. 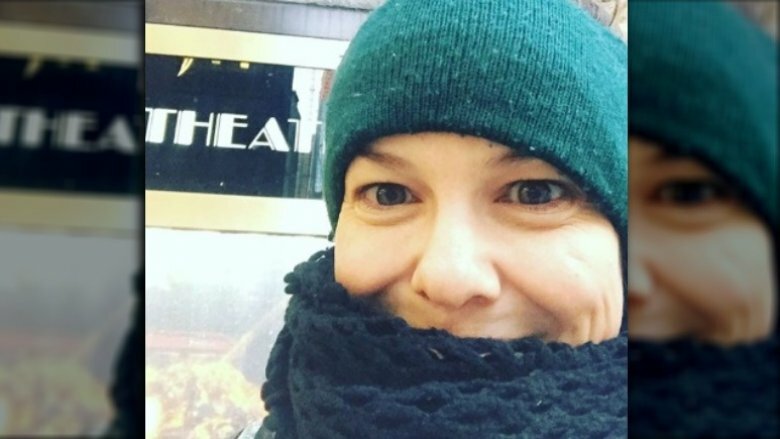 One of the lesser known topics about Larisa Oleynik concerns her personal life. Although the actress did mention having a boyfriend in a 2013 interview with AMC, there's not much out there about her current or past romantic history. It's possible the actress is low-key due to the drama she endured with an alleged stalker named Josh Hathaway. Not only did the perpetrator reportedly change his last name to Oleynik in 2010, but he also called the actress' mother "nonstop" and left "gifts for her at her mom's apartment," according to TMZ. Additionally, Hathaway allegedly wrote letters to Oleynik, telling her: "You are very beloved by me everyday. You are very precious to me … keep me on your wheel of love." Yikes. The situation was understandably upsetting for Oleynik, who wrote in court docs: "I feel that I am being stalked. I am worried he is unstable and could snap at any moment." In January 2013, the actress was granted a three-year restraining order against Hathaway. Let's hope that's the end of this ordeal. Although Larisa Oleynik doesn't want to be exclusively remembered for her teenage roles, it doesn't mean she can't appreciate them. Case in point: When the 20th anniversary of 10 Things I Hate About You rolled around in March 2019, she took to Instagram to wish the movie a happy birthday. "Happy Birthday #10thingsihateaboutyou!" she captioned a cute shot of the cast. "In a year you can congregate around Mr. Cuervo with us. But first #wearthebelly." Aww. Just days later, Oleynik announced her a new role in the television comedy Half Life. The actress plays "Patty, a working mom trying to realize her dream of becoming a screenwriter while balancing the demands of her family and her day job as a location manager," reported Deadline.